During the day I was trying to come up with titles for further entries. Since I was paying some attention about the progressive rock band Marillion it was an easy step to Steve Hogarth their singer since 1989. Hogarth started his career in the new wave / synthpop group the Europeans, which consisted of Geoff Dugmore (drums, backing vocals), Ferg Harper (lead vocals, bass), Steve Hogarth (keyboards, lead and backing vocals), Colin Woore (guitars, backing vocals). The band formed in 1980 under the name Motion Pictures, but changed names in 1981 after Hogarth had joined through an add in the music press. They released three albums before the band broke up in 1985. However their first track "Drink Pink Zinc!" appeared on a compilation album titled "The Snoopies Album" from 1981. Hogarth was the keyboard player of the band and did lead vocals on five out of eight tracks on "Recurring Dreams" and on one the nicest track of their debut album "Vocabulary", he sang "Kingdom Come". The other one is "American People". After the Europeans he went on with guitarist Colin Woore and formed How We Live. HWL only released the album Dry Land in 1987 with nice new wave / synthpop songs. Although the album was a great icon of musicianship HWL hardly had any commercial success. It almost looks like the album got shelved at CBS, and when the band ran out of money, while working on tracks for a second album, Hogarth decided to quit HWL at the end of 1988. Be honest who had heared of HWL if Hogarth hadn't joined Marillion. So in 1989 Steve Hogarth joined Marillion after Fish had left. 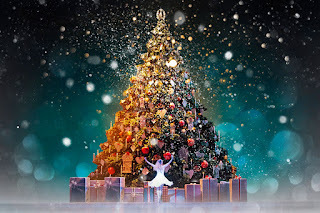 The funny thing is the band had already written several tracks, which in the end musically turned on the Marillion album "Seasons End" and lyrically turned on the Fish album "Vigil In The Wilderness Of Mirrors". Suddenly the fans got two great albums within the year. I really like both. 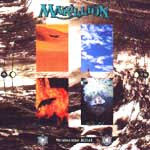 The Marillion album is one of the best they ever made, which I easily compare with Script For A Jesters Tear and Fugazi. The music is the best they've ever been able to make and even the vocals and lyrics of Hogarth fit well in the overall result. Hogarth does a fine job, and to my opinion makes it easy to forget Fish as the frontman of one of my favourite bands. "The Space", the closing track of the album is a crossover of Marillion and Europeans since the track is written by all Marillion - and European members. The only problem with both Marillion and Fish turns out to be that they're unable to keep up a stable quality of follow-up releases. "Holidays In Eden is a worse album, although it features the HWL track "Dry Land", and for follow-up releases of Fish it is likewise. "Brave" on the other hand turns out to become one of the best prog albums of the nineties, and Fish celebrates new victories with the album "Suits". Then the quality of new albums drops to doubtful levels 'till the release of Marbles. It's 1996 when Marillion takes a break and several members work on their own projects. 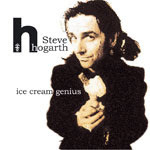 Steve Hogarth releases under the name H the album "Ice Cream Genius". On the album he works with all star band Richard Barbieri (Japan, Porcupine Tree / Synthesizers), Clem Burke (Blondie /Drums), Dave Gregory (XTC / Guitar), and Chucho Merchan (David Gilmour, Pete Townshend / Bass). Here he gets the change again to create his own music, which has become a mixture of new wave, synthpop and progressive rock. For a detailed discography check: for Marillion and for Europeans and How We Live. Can you share any album of that time, please? Do you have any singles of the Hogarth's solo career? Like Cage - Tour EP? Any chance of some of the Europeans albums..? I'd like to know where I can download h's first solo album.